There’s been a Gail Simone-shaped hole in DC’s roster of creative talent since the DC Rebirth relaunch in 2016. It took putting Wonder Woman and Conan the Barbarian together to bring Simone back to the fold, and what a grand return it is. 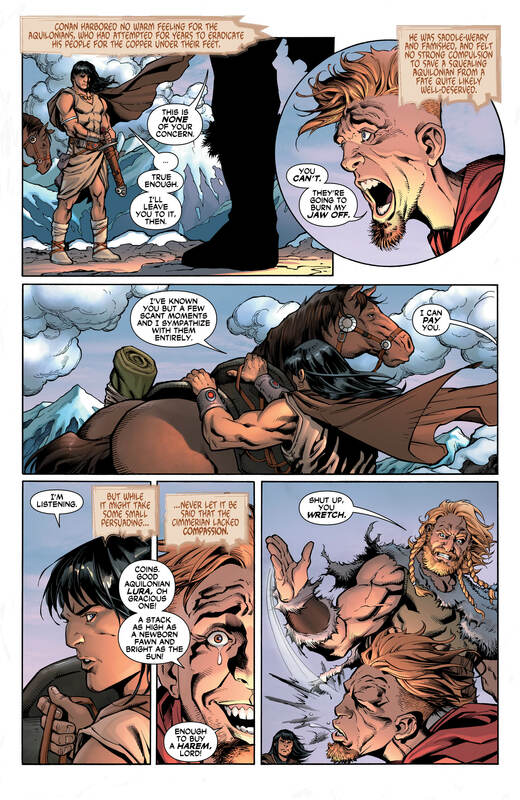 Wonder Woman/Conan #1 is just delightful. 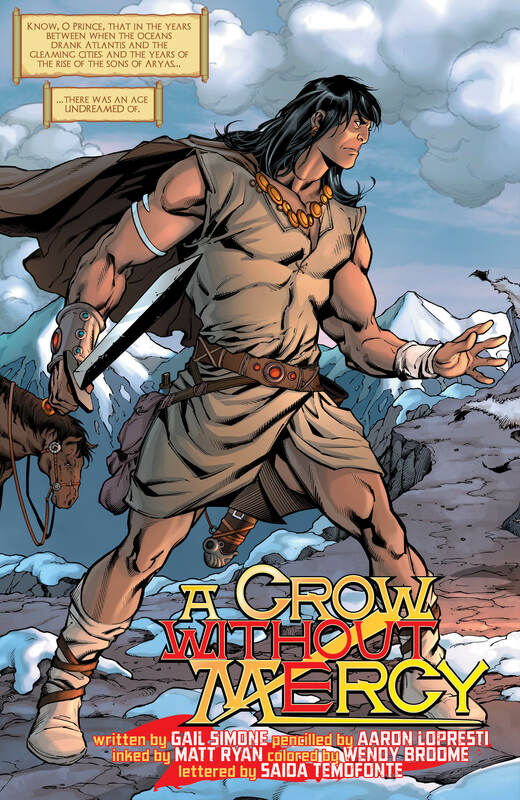 Full of the nostalgic sword and sorcery that you’ve come to expect from Dark Horse’s take on Robert E. Howard’s pulp creation, with just a dash of superheroics. 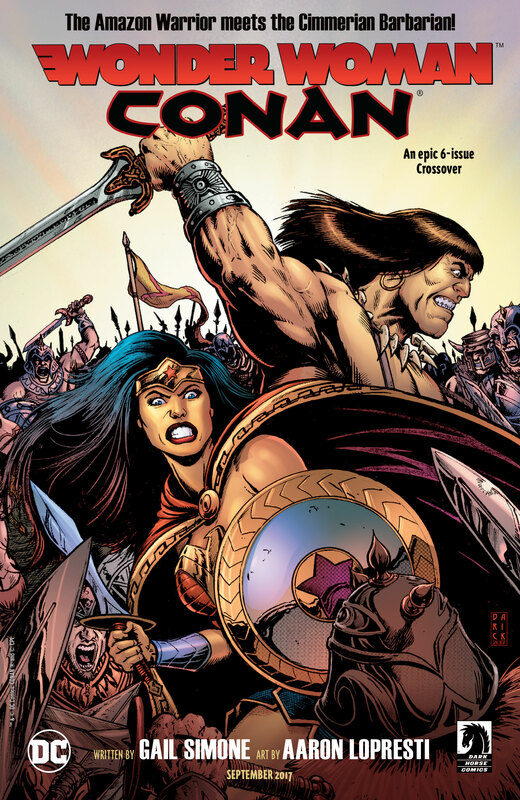 Indeed, the first issue presents itself as more of a Conan book than a Wonder Woman adventure. I’m not complaining, though. Simone stretches her Red Sonja muscles to deliver one of the best Conan books of the year (Cullen Bunn is also doing a great job with the Conan the Slayer series at Dark Horse). 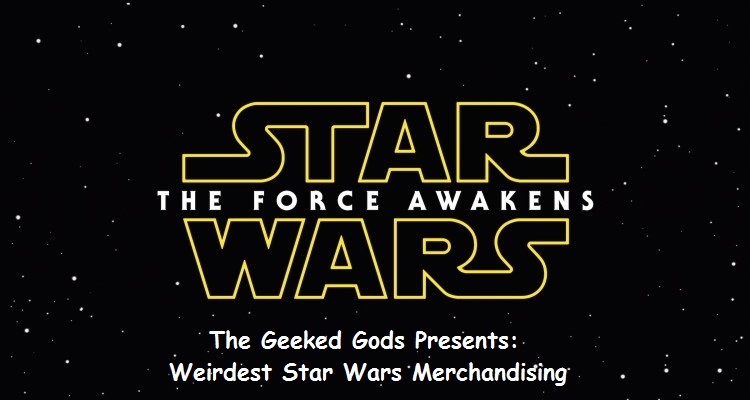 The story begins as it so often does: with the titular character drifting through the desert. On his way, he finds an opportunity to make a bit of money. “Enough for an entire harem,” Conan’s new Aquilonian business partner promises. 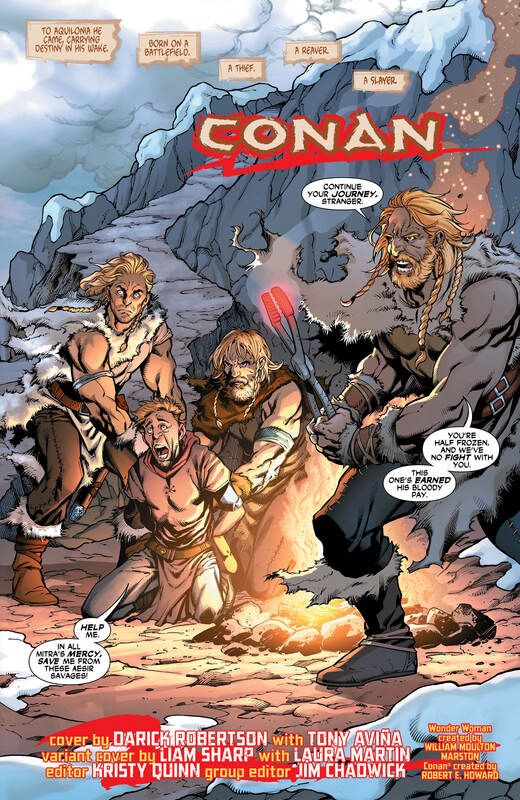 As expected, things don’t go quite as planned and suddenly Conan comes face to face with someone from his past. 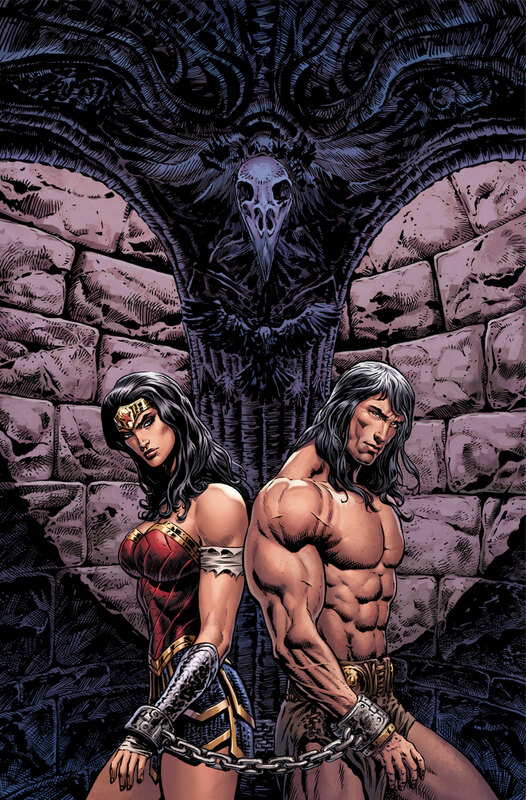 This is where Simone’s take on a world where both Conan and Wonder Woman coexist gets interesting. I wouldn’t dare spoil Conan’s connection with Wonder Woman, but it’s very clever. For Conan, Wonder Woman’s arrival is a moment of weakness to say the least. If there’s one thing Simone definitely accomplishes in this first issue, it’s making us care about how the relationship between these two disparate characters will develop beyond simply punching bad guys in the face. Simone sort of tricks readers in the beginning about how Conan and Wonder Woman will meet, setting up a potential battle between the two — which WOULD be awesome to see, but that’s not quite where she takes it, instead aiming for something more thoughtful as she often does. As it has been said plenty of times before, Simone continues to be one of the best writers working in comics today. Aaron Lopresti’s art is deliciously retro. 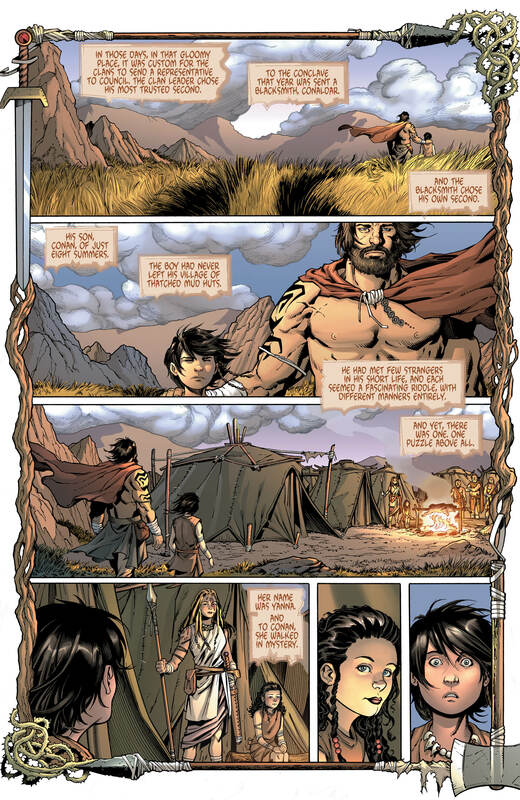 I love how he draws both Conan and a Hyborian Age Wonder Woman. The tweaks to her costume are brilliant, depicting both her classic superhero getup while also giving it a weathered, grimier look to match the setting. His action sequences are also superb, especially when it’s time for Wonder Woman to punish some bad guys. It’s an unsurprisingly action-heavy first issue, and Lopresti delivers. Lopresti also gets to draw a couple of gruesome scenes, although there are no signs of monsters in this first issue. 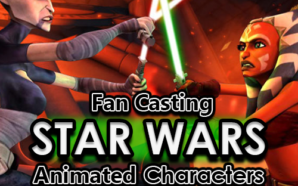 Perhaps we’ll get to see some next month. I’d love to see what Lopresti could do with the Conan universe’s bestiary. Wonder Woman/Conan #1 is a spectacular start to the series, showcasing what makes both of these characters so special, something Simone is so incredibly adept at. I really missed her on a DC book, and I’m glad she’s back. Hopefully, this won’t just be a one and done situation and we’ll get a new on-going from Simone very soon. If not, I’d more than welcome her back on a Conan or Red Sonja book.